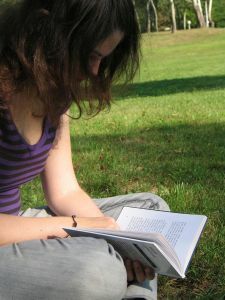 With the ease and relatively low cost of today’s self-publishing tools, many authors are going this route rather than going through the much longer process of finding an agent and traditional publisher. It can be extremely lucrative, and even if you don’t make tons of sales, at least you gave it a shot, right? While lots of awesome authors choose to self-publish, it sometimes gets a bad rap because for every amazing find, there are dozens or maybe even hundreds of books that were…well…self-published for a reason. Sometimes, you can’t find a publisher to take you on because the market is flooded or they just aren’t willing to take a chance on you for whatever reason. But often, publishers turn down proposals because the writing is bad. So, if you’re going to take a chance and purchase a self-published book, it makes sense to read as many reviews as possible. A lot of self-published authors are finding success because they go on virtual book tours or offer up their books to be reviewed on book blogs. When you send out your book to reviewers, it’s nerve-wracking. I know; I’ve done it. Thankfully, I didn’t have any scathing reviews of my ebook, but I did get some criticism. No matter how awesome your book, few reviews are 100% sunshine and unicorns. The same is true of even a blog post – not everyone who reads is going to be a fan. You deal with it. You cry, maybe, if you have to. You learn from it and move on. 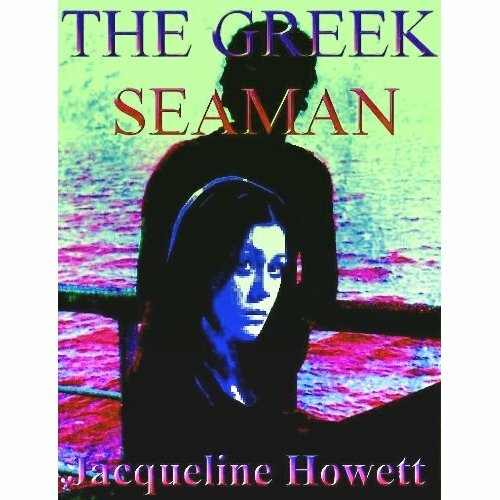 What you don’t do is respond like Jacqueline Howett, author of The Greek Seaman. After getting a luke-warm review from BigAl’s Books and Pals, she freaked out. It wasn’t even a bad review – the writer had both good and bad things to say. The bad comments he had were mostly about the fact that he found several grammatical errors, along with a number of confusingly-structured sentences. Let’s not even talk about the grammatical errors in the comment itself. She then proceeds to copy and paste a few good reviews from Amazon as individual comments. It gets better. In subsequent comments, she accuses the reviewer of not downloading the correct copy, being “discusting [sic] and unprofessional,” and leaving anonymous negative comments about the book. She goes on to tell other commenters “stay out of it” and then, my favorite part, she leaves a few comments that simply say, “F*** off!” (Without the stars, on Al’s site, it’s uncensored). The sad part is, without her rants, this review might very well disappeared into the chasm of the Internet. I checked a few of the other posts on this site at random, and it looks like he averages two or three comments per review. Maybe ten at most. On the review of Jacqueline Howett’s book? Over 300 (and counting). He actually gave the plot a good review, so without her crazy comments, some people might have actually bought it on his recommendation. After all, we all make errors when writing, and if you self-publish you might not be able to afford a good editor. To me, it’s more important that the plot is good, and I think a lot of other readers feel similarly. But Jacqueline’s response? No way will I ever read this book. The reviewer, in my opinion, has handled this with grace. He responded to her accusations and then said that he would not be commenting on the matter any further. I found that overall, he was extremely fair in allowing people with a variety of opinions to post comments. 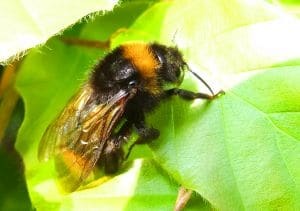 You’ll notice that I haven’t posted a link to Jacqueline’s website or book on Amazon in this post. That’s by design. While I do think that this is an interesting new media case study and we can all learn from it, I personally do not want to in any way support this author’s work. I’m sure that she is seeing some sales because people are curious as to just how bad her book is, but I don’t want to encourage that. Even if her book is amazing, there are a lot of great authors out there who treat their readers with respect. Use your buying power to support them instead. Without the community’s support, a writer is nothing. Remember that. It’s something that I think all of us should keep in mind, whether we’re writing ebooks, traditional books, or even blog posts. Community is everything. For the record, I checked out the reviews on Amazon as well, just because I was curious as to whether or not Al’s review really was unfair. Of the 92 reviews posted, 10 are 5-star…and 72 are one-star. Of the 5-star reviews, a number of them are making fun of the double entendre title and several comment on the fact that the grammar/spelling is bad even though the story is good. Also, hat tip to my roommate, who told me this was going on. Interesting since I’m in the process of advising a client how to respond to reviews, for his self-published book. Interesting thing is that it crossed my mind that a couple of well placed snarky comments may actually help with extra mileage :), and drawing more attention/controversy. Google said its doing something about how negative reviews affect ranking but I’m not sure its been implemented yet. I’m glad I found this on Twitter. I hope I shall take on board everyone’s opinions and reply with good manners. Everyone has a view and is entitled to share it. But I hope some of my reviews will be ‘pleasant’ at least! How did Radian6 get such a high valuation? Social Media Monitoring tool are like toilet paper these days. SFDC overpaid. Those negative reviews on the Amazon page came in after the whole Big Al thing exploded. Before then, the book had a grand total of three Amazon reviews. Ask the Notables: Where Do You Blog From?